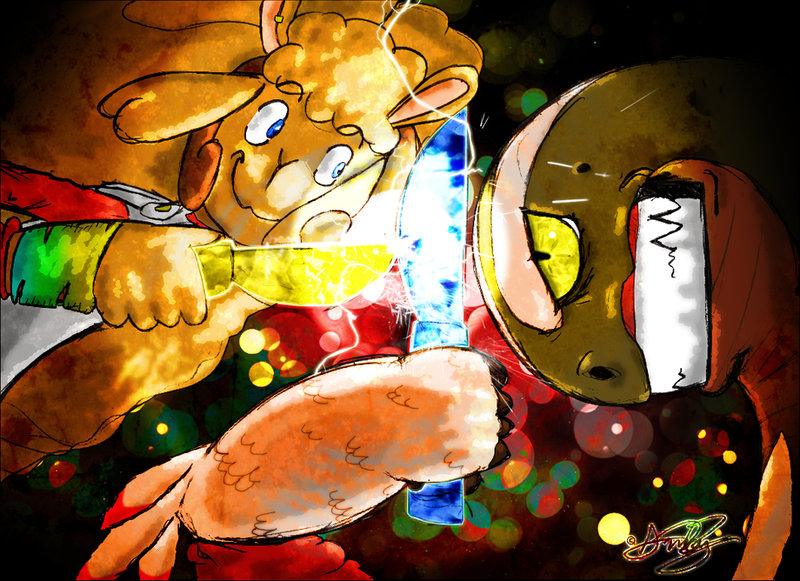 This drawing represents a battle of ideals (like the title sugests) between Tamara and Vander, and the blades could be seen as a 'materialization' of those ideals, hence why they are glowing, in a match of "Who's right and who's wrong" about some ethical/moral subject, which is why the background is so abstract. What were they discussing? And how does this argument ends? That's up to you for now.